I have been the Pastor of the Reformed Church of Avondale since July, 2017. 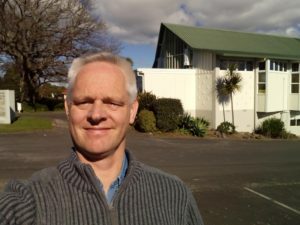 I grew up in Wellington, spent nine years pastoring a congregation in Christchurch, and now live and work and worship in Avondale. It is a privilege to preach and teach the living Word of God, because the Bible tells us who Jesus is and what He came to do, and how to live a life of thankfulness for our salvation in Jesus. If you decide to visit us on a Sunday, please do introduce yourself!